While your College can use a single College based email account, it is strongly encouraged for Colleges to use a separate email service such as MailChimp (Mandrill) to ensure emails are not marked as spam and are verified. 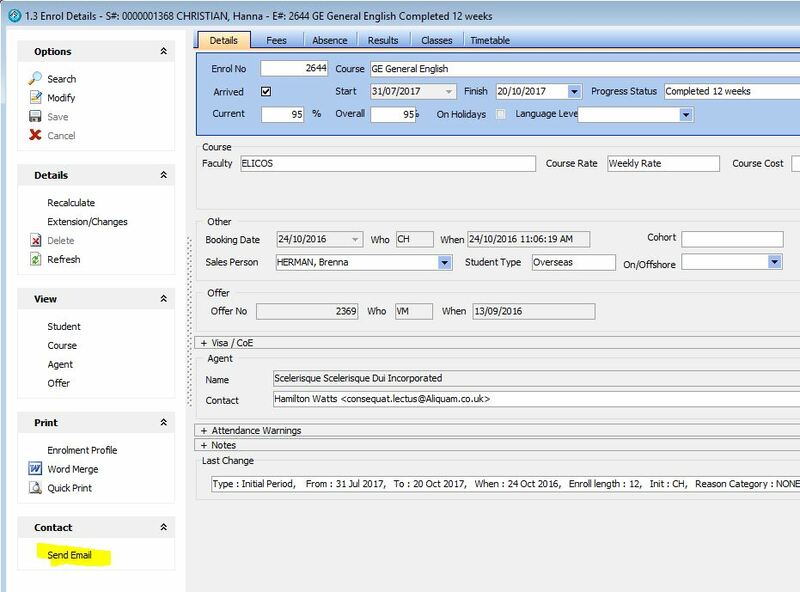 Using a transactional email service also provides access to reports of what emails have been sent and you can trace what has been viewed and or bounced. 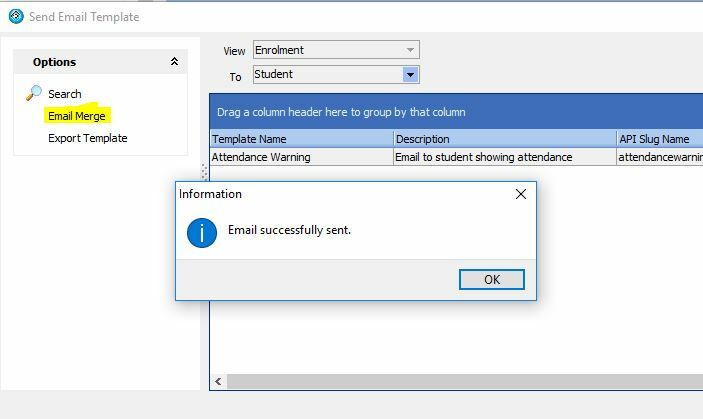 We encourage Colleges to register their College email address and create an account with the email provider Mandrill which provides a transactional email service with MailChimp and eBECAS. 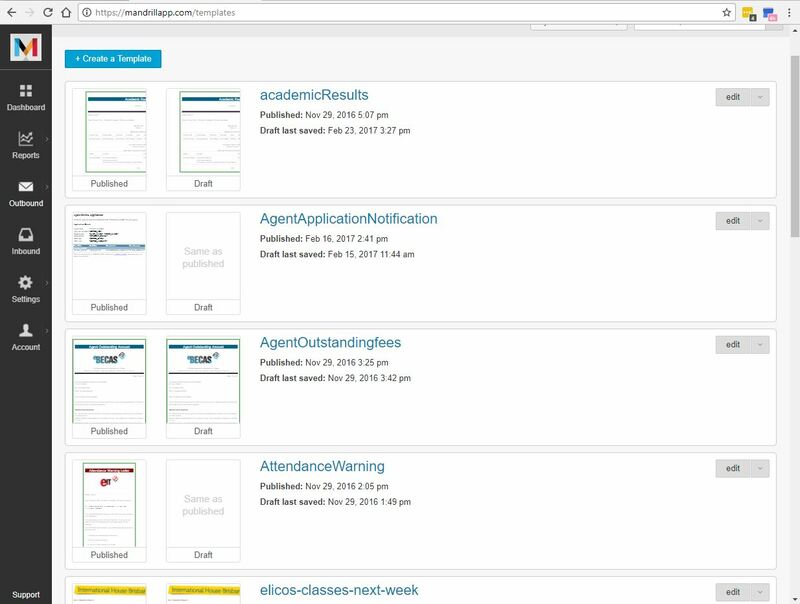 Mandrill and MailChimp integration with eBECAS enables formatted html email templates to send single and bulk emails to Students, Agents and Homestay providers that contain eBECAS data. After creating a mailchimp/mandrill account, we will ask you to send us the identification codes and enter these into eBECAS to provide integration. 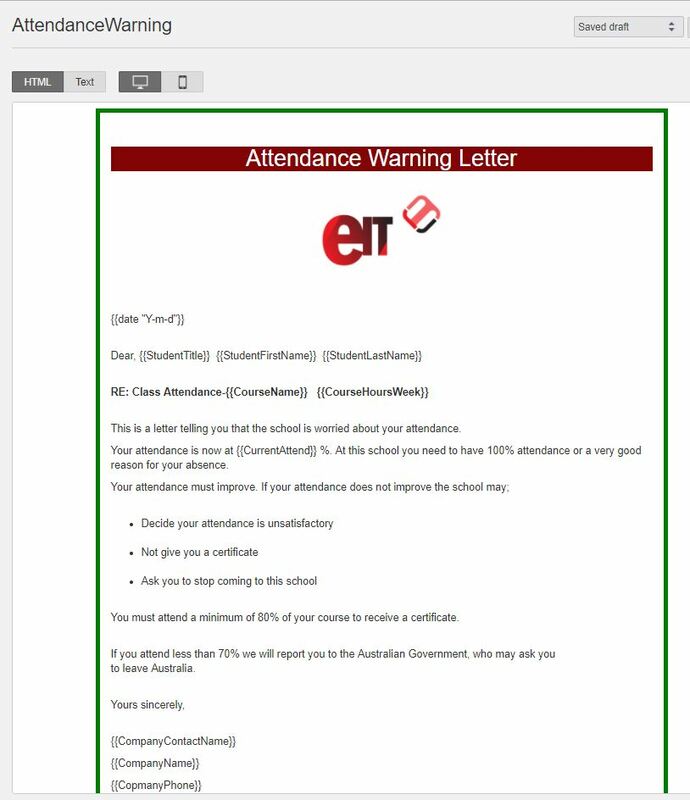 We also now provide simple text email in bulk where bookmarks are used within the email to personalise the details. 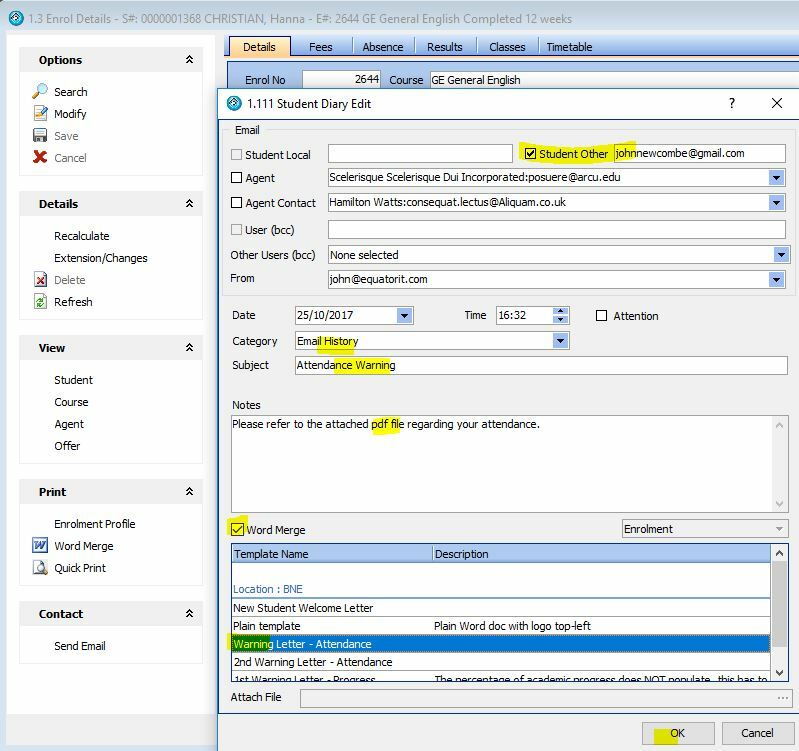 You can tag what email addresses to send copies of the email to: Local Student email address, Other Student email address, the Student’s agent’s general email, the agent’s nominated counsellor, an internal College eBECAS user blind copy address and you can enter any other blind copy email address. 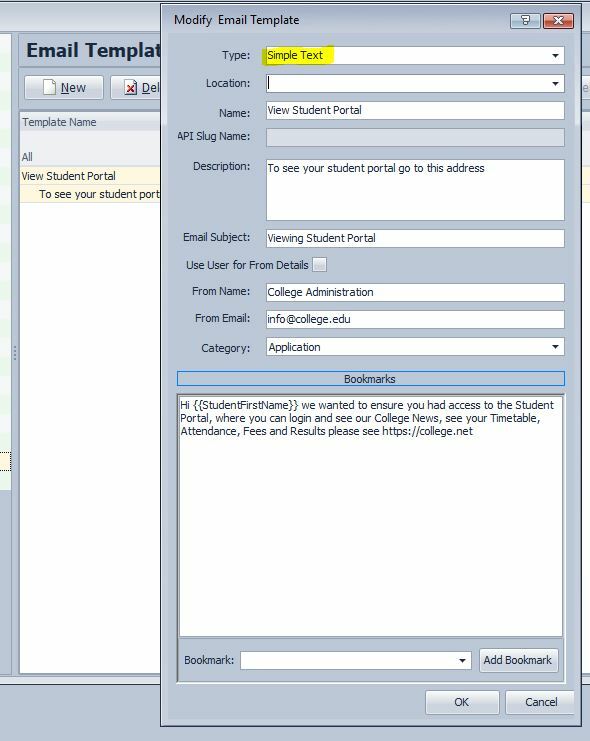 The sent email will be logged in the student diary, for the date and time when you pressed the send email button or this date and time can be overwritten. The Diary entry can be tagged and identified with the Attention flag. 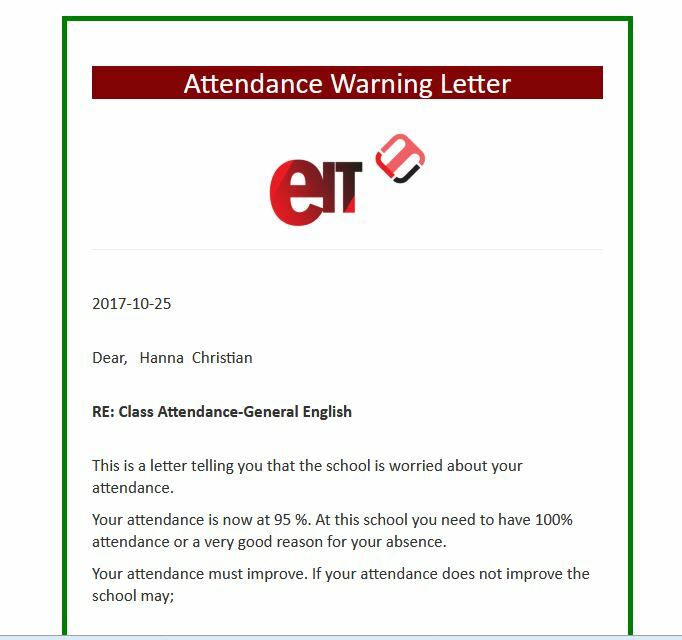 You can select the Diary Category, and enter plain text for the email with a subject line and details in the note section. 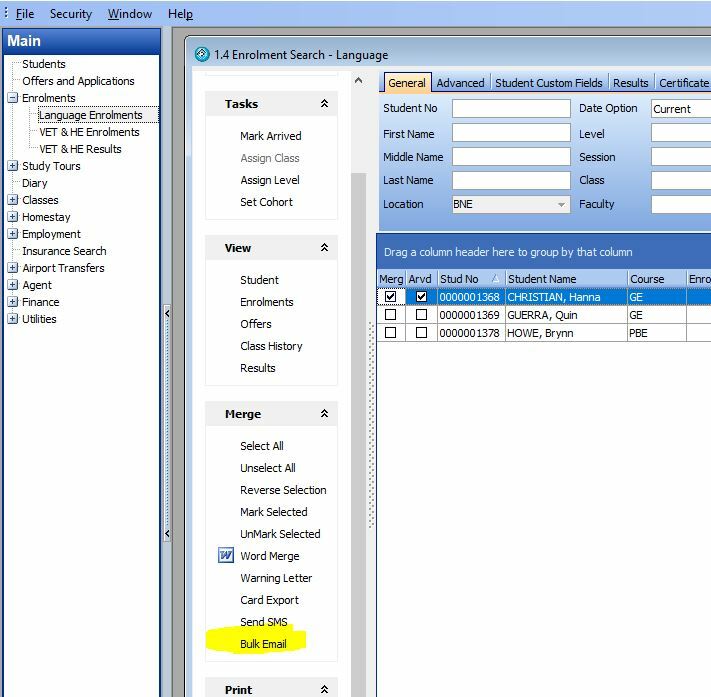 You can optionally select a registered template in this area and generate and attach a pdf document. You can also attach a separate file using the Attach File option. 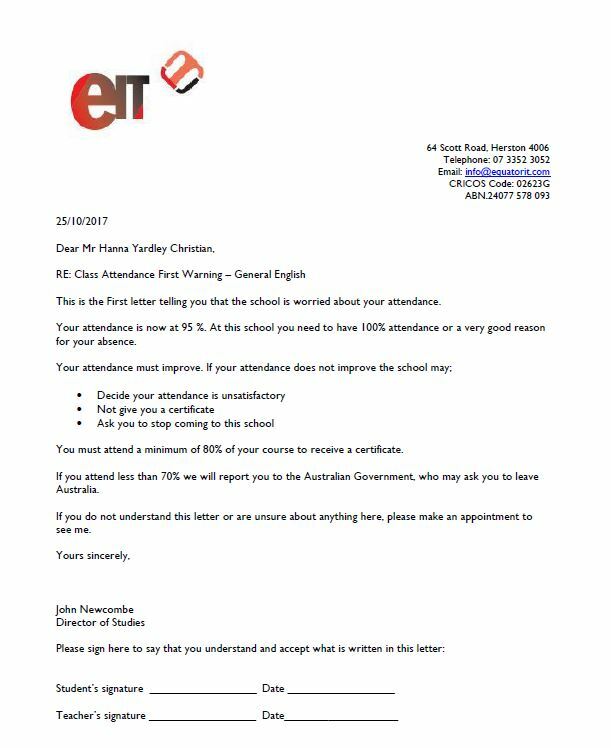 Ok merges the template and sends the email with the attached document. 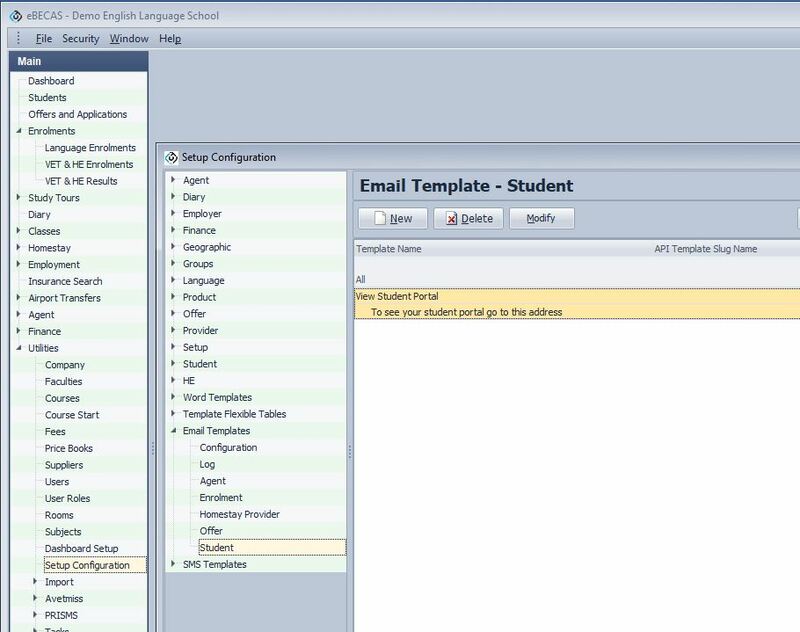 The simple text bulk email template is specified in eBECAS – Main – Utilities – Setup Configuration – Email Templates. Similar to SMS messages, you can type text and reference eBECAS single bookmarks as text. 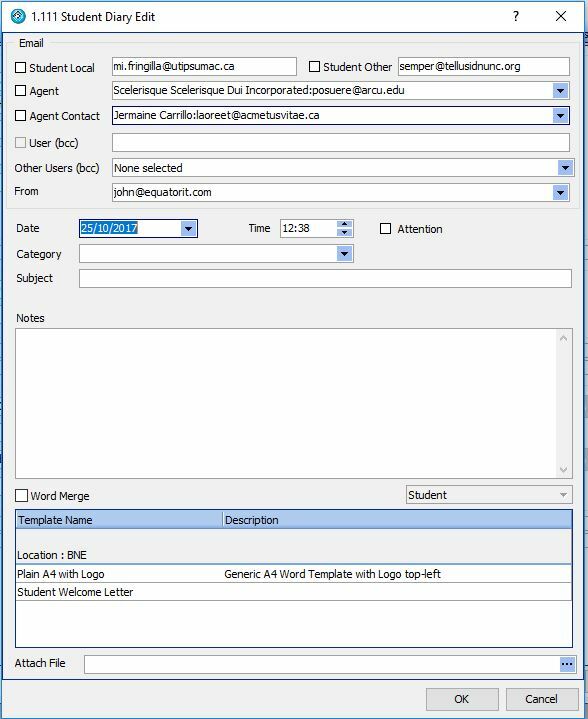 The Simple Text Bulk Templates are stored by area which relates to where the option is available and what bookmarks are referenced via the search for Agent, Enrolment, Homestay Provider, Offer and Student. 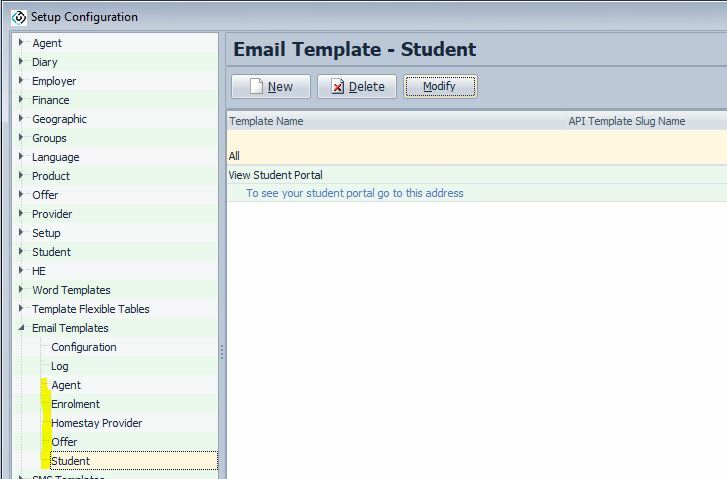 This simple bulk email template is registered for the student search. 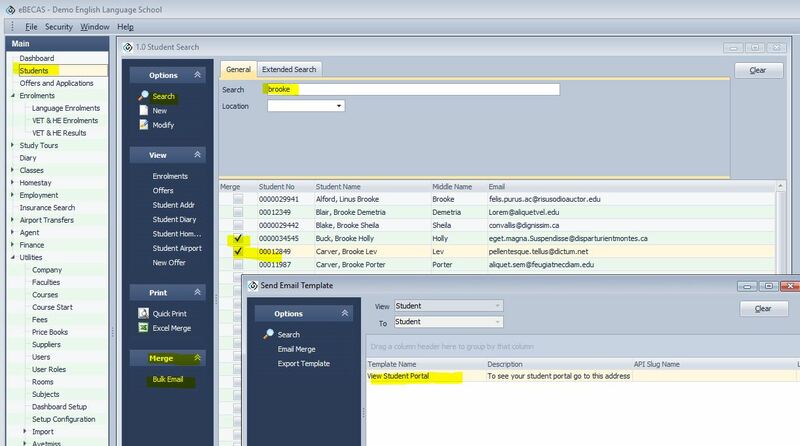 On the Student search press Merge to display the merge column options and select who you want the emails sent to. 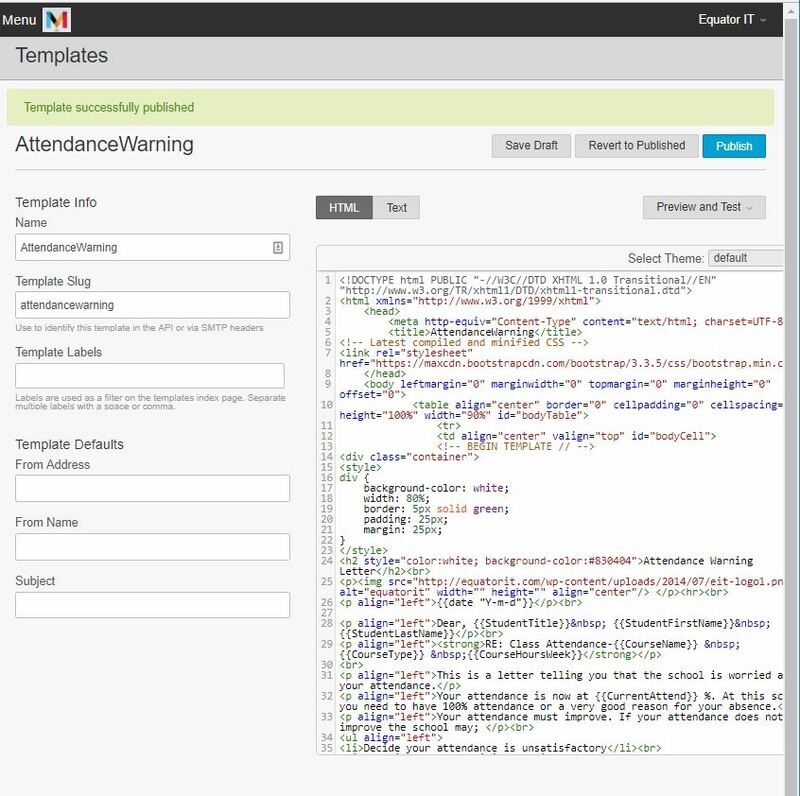 Email templates are specified and created in Mandrill. While this looks complicated but it is simple html that someone experienced with html can generate. You can preview and test the template. 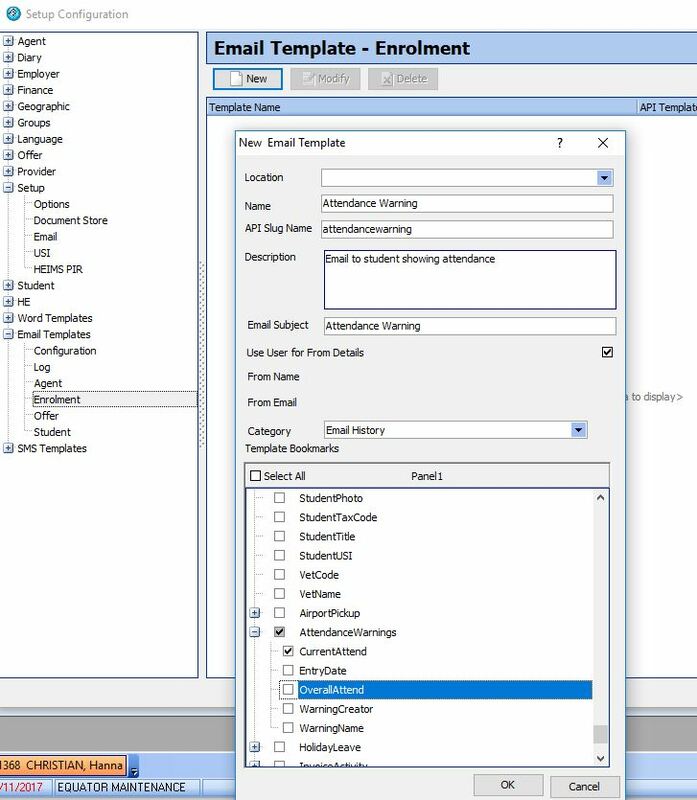 Filling in the name, the Mandrill API Slug name specified in Mandrill and select the fields that will be referenced in the html, please do not select all as the data retrieved can be large, and Mandrill will complain and not work if too much data is provided for each email. 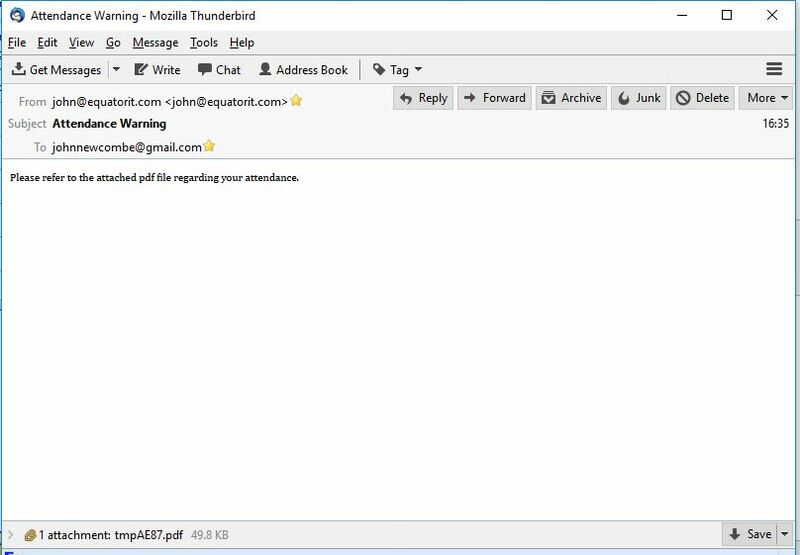 You press Email Merge and confirmation that the emails are sent is shown. 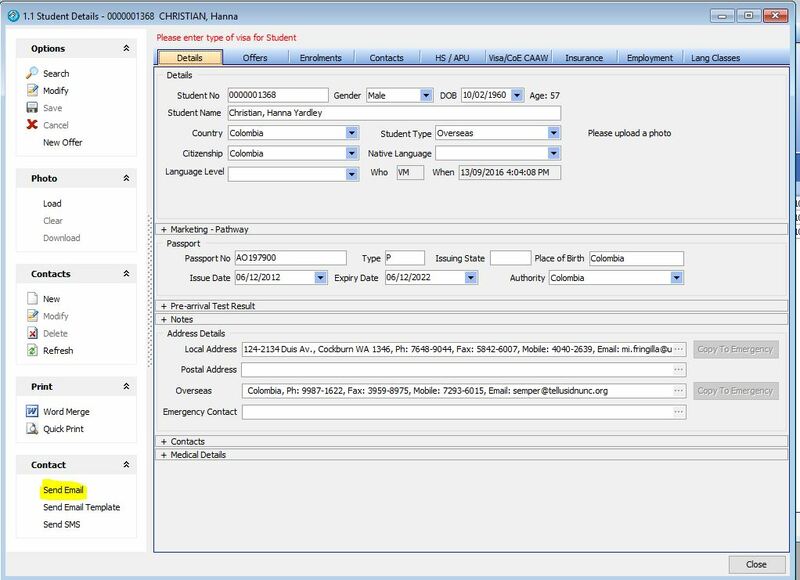 Details are logged in the Contact/Diary for each student or agent or homestay provider.